Friendly for Facebook pro is the most complete premium facebook and Messenger app alternative. 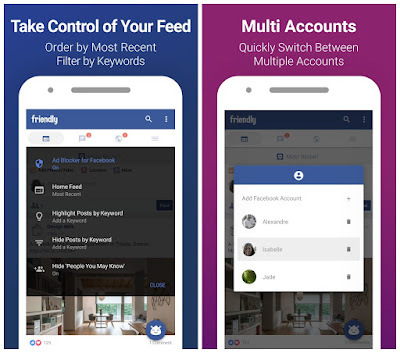 Friendly is built as an extension of the light Facebook mobile website, Or app preserves your battery, storage and data, while giving you back control over your news feed. Best Facebook Alternative App! Lite and Fast Over 10 Million Downloads. Sort your news feed by most recent posts. Fast Facebook lite app! Don’t settle for anything else. The brand spanking new Keyword Filtering feature for Android devices works in two ways: If you’re tired of seeing political posts, simply set your Keyword Filter to hide posts and articles containing the keywords “election,” “Republican,” or “Democrat”... and voilà: Any posts containing those words will not appear in your news feed. 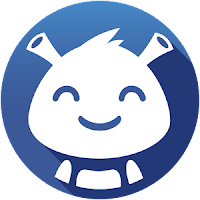 Friendly is an alternative app and is no way sponsored, endorsed or administered by, or associated with Facebook, Twitter or Instagram.